It has been written by Daniel Coulom (see http://dcmo5.free.fr/ for further details). 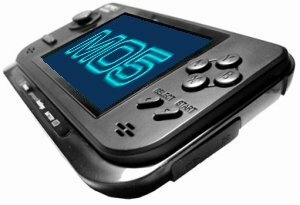 GP2X-MO5 is a port on GP2X of the version 11 of DCMO5. What's new then in this version ? Sources are included, and this package is under the GNU public licence v3, read COPYING.txt file for more information about it.